Mr. Juggling Act loves salad. It doesn’t matter what kind. His favorite are the hearty ones which he far prefers of the fussy ones. 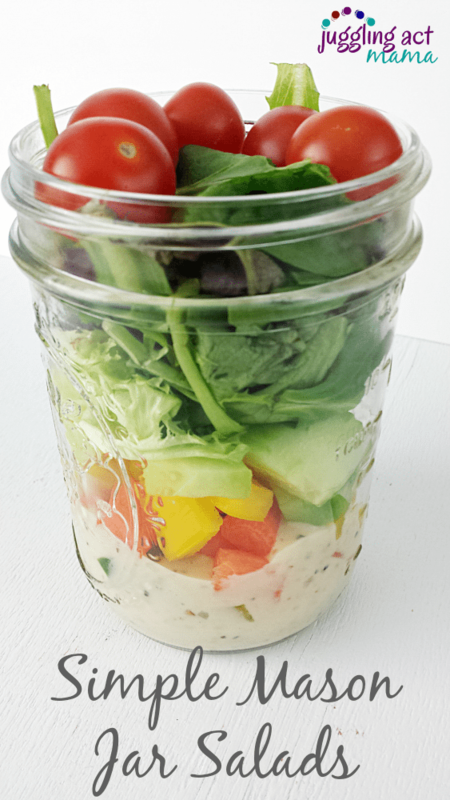 He loves taking salads to work with him, too, and these simple salads packed in mason jars are a super simple lunch. Our mornings are so hectic – it’s a rush of herding two kids around and a lot of repeating ourselves. Ethan please put on your shoes. Olivia, you can’t wear your Elsa costume to school. Shoes please, Ethan. Liv, we need to brush your hair. Ethan! Shoes! So there isn’t time for creative lunches unless we plan ahead. That’s what’s so great about these salads, you can make them ahead, then just grab a jar from the fridge and go! Plus there’s no need to find a tiny container (and lid!) for the dressing, since it goes right into the bottom of the jar. ¼ cup each chopped carrots, cucumbers, and yellow pepper. Wide mouthed pint and quart sized canning jars work best. 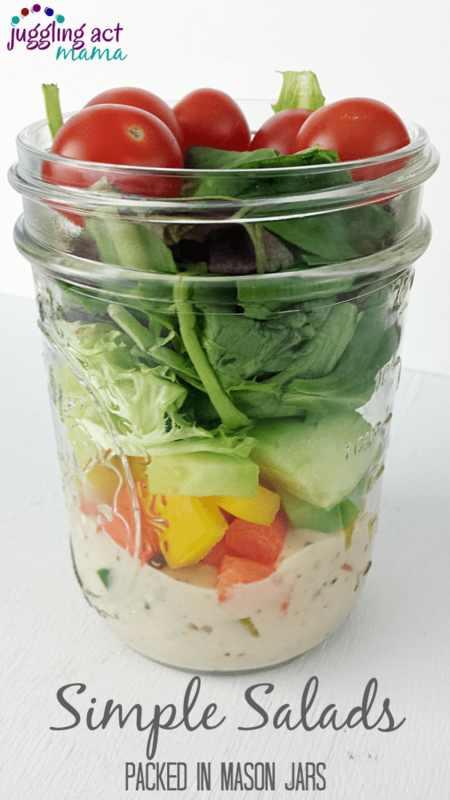 Add 1-4 tablespoons of dressing to the bottom of your jar (depending on jar size and personal preference). Creamy dressings work best and for this we used Creamy Italian dressing. Add your hard vegetables such as cucumbers, peppers, onions, carrots, cooked beets, etc. In this salad, we used carrots, yellow peppers, and cucumbers. 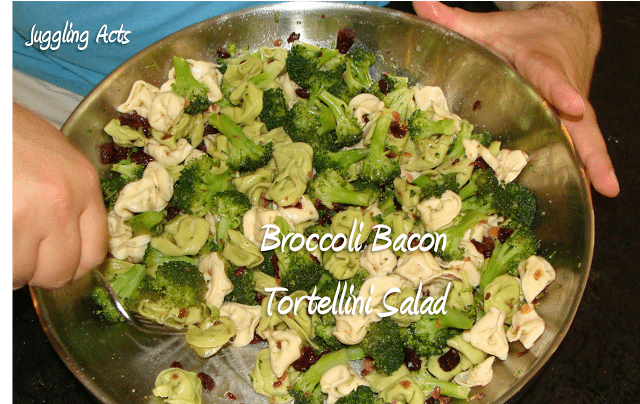 I love this idea for a quick and easy lunch – and very smart to put the salad dressing on the bottom.